After a 12 hour flight and a short nap I'm back home in Hamburg and ready for New Year's Eve!!! I can't believe this year has come to an end, but I'm expecting 2016 to be just as exiting. This year a lot of things happened and a lot of things changed, I spent it with my family and friends and got the huge opportunity to travel a lot, just as my last trip to Kuala Lumpur which definitely going to be one of the best memories from this year! 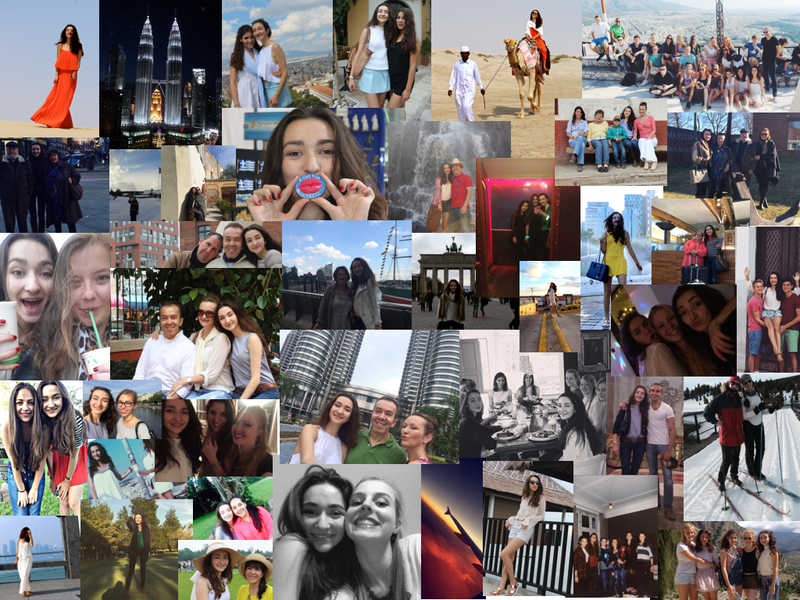 Today I'm sharing a collage of photos with things that happened to me this year and I swear I tried to put in as much as possible and I guess I created a mix of all the things that played a major role this last year in my life: Fashion, Traveling, Friends & Family! I'm happy to look back on this year and happy to look forward to a year that will hopefully be just as amazing! I hope you all have an amazing start to 2016!! !